A group of youths, from Malumfashi/Kafur Federal Constituency, have donated the sum of Five Hundred and Eighty Thousand Naira to the Member representing Malumfashi/Kafur Federal Constituency at the National Assembly, Hon. Babangida Ibrahim, as contribution to purchase APC nomination form for the 2019 general election. The group of youths assembled together, being beneficiaries of various empowerment initiatives, as well direct/indirect labour which the Honourable Member sponsored as benefactor. It is no longer a story that Hon. 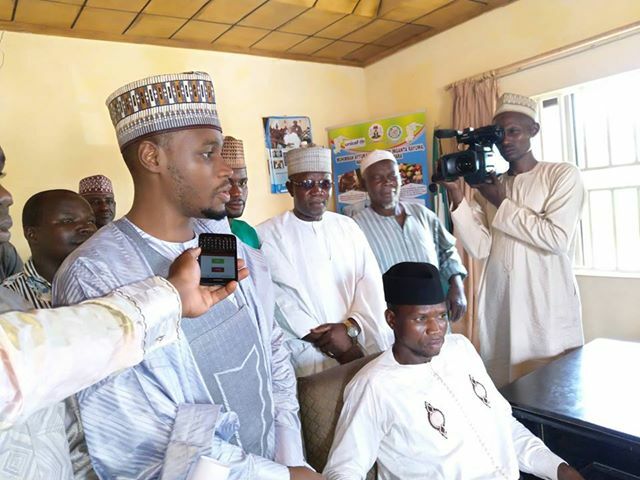 Babangida Ibrahim has secured various jobs to thousands of youths by ensuring that his constituency meet up its quota as required by federal character in public offices. In his capacity as one of the best performing members in the National Assembly, he ensures all dividends of democracy reaches the people of his constituency. Honourable Babangida Ibrahim, a true progressive, has impacted so many lives in all wards of the constituency which he represents, as well touched the lives of others in Katsina state and Nigeria at large. It is with regards to these achievements and his quest to ensure youths are empowered with jobs, either in public or private sectors, or being independent, that these youths came together to stand for the continuity of the wonderful projects and initiatives he has started. In appreciation of the exceptional representation by Hon. 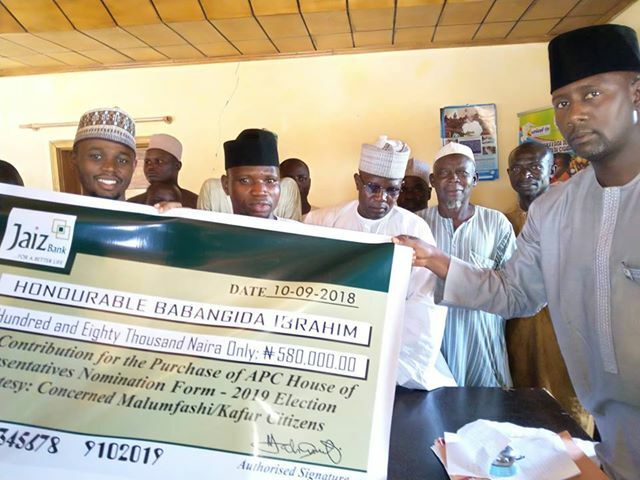 Babangida Ibrahim, these youths teamed up to contribute and donate 580,000.00 Naira to the member, and promised to actively give their support in ensuring that he clinches not only his party's ticket, but returns elected in the general election. 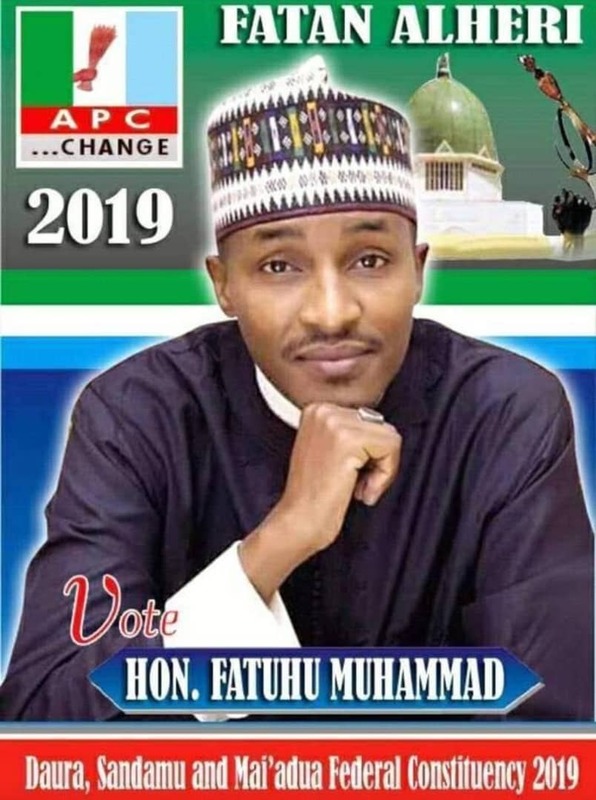 Going by his track record, the member representing Malumfashi/Kafur Federal Constituency is one of the best performing members in terms of constituency projects, budget implementation and other federal government attracted projects. His experience in the National Assembly cannot be understated and compromised for any reason. The group are calling on all Malumfashi and Kafur constituents to pay critical attention and see things beyond selfish gains and ensure they do not deprive themselves of the opportunity of this wonderful representation again. The Cheque is been presented to Representative of Hon Babangida Ibrahim in Kafur Local Government, Katsina State.